How does the Yourefolio platform help? 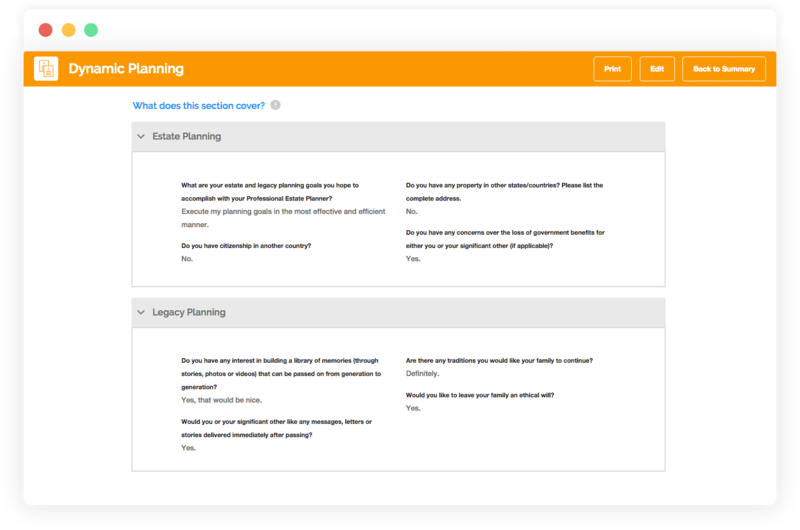 The platform is designed with innovative tools and modules to help professionals with all aspects of estate and legacy planning within their practice. Never leave the software to engage, prepare, plan, execute, illustrate, connect, review, administer and settle any type of clients estate. 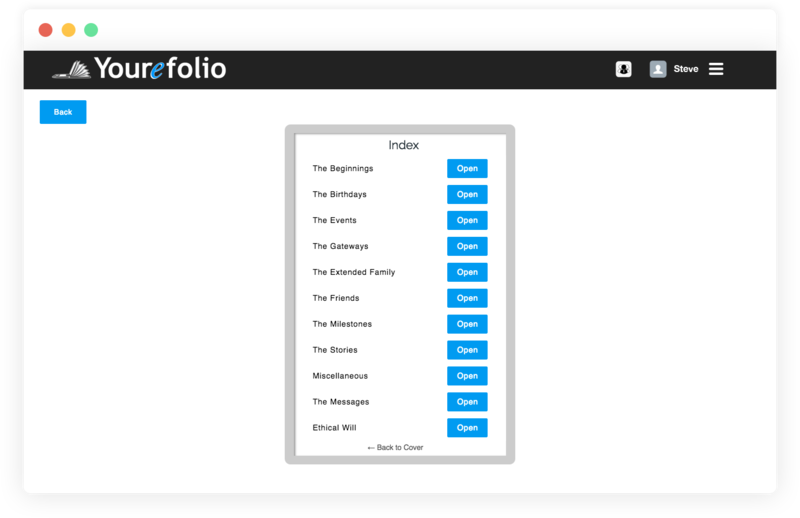 Whatever your business needs, Yourefolio provides options to help with simple yet effective tools, modules and intangibles that provide distinct benefits for your practice. 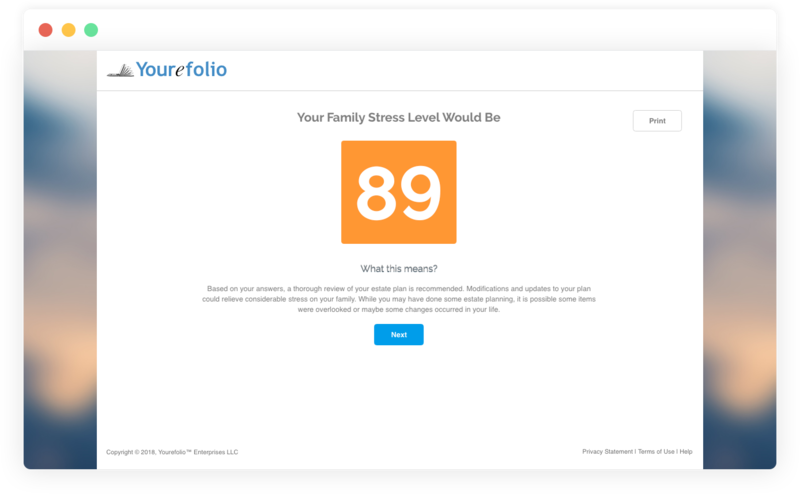 The first of its kind “stress test” provides prospects and clients with an understanding of their estate plan and what stress they or their families would incur should something happen to them at this moment. Real life scenarios put into context their understanding of the current estate plan, what concerns or deficiencies they may encounter. Intuitive questions that lead to open and honest discussions recorded directly into the platform, which helps you establish items that need to be addressed and a plan of attack. Connect with those inheriting the wealth in a less intrusive way with our gamification module. This tool is a first of its kind by allowing the beneficiaries to provide valuable information for the estate plan. Information such as what tangible assets they would like to inherit to what estate responsibilities they wish to partake in. Best of all, it’s mobile friendly. Estate planning is more than just passing on a bank account or house, it is sharing all the memories that have been created with those beneficiaries and loved ones over the course of a lifetime. Our family album and genealogy trees allow families to pass on these memories from generation to generation permanently preserved. 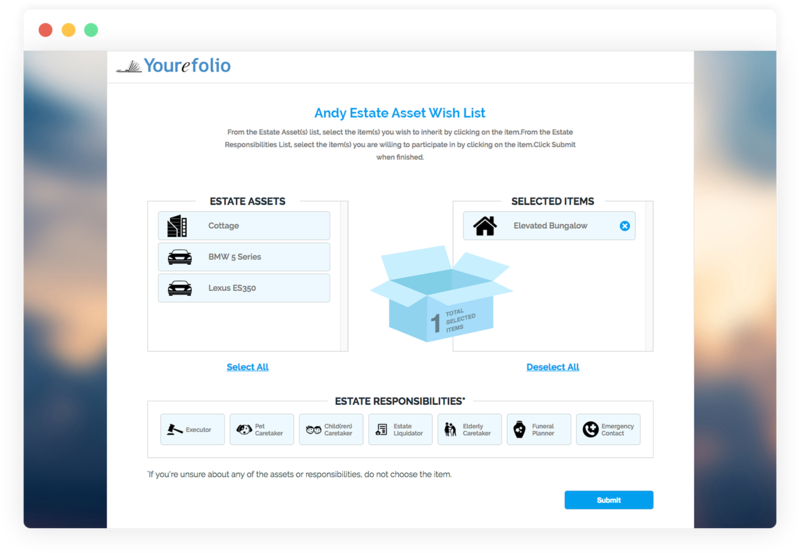 It's simple, Yourefolio is a modern technology platform for the 21st century which provides unique advantages to professionals that offer estate planning within their practice. There is only one way to facilitate the transfer of assets upon death and that is estate planning. By incorporating simple yet effective estate planning into your practice you can now retain valuable assets and capture those that your clients may inherit someday. The best referrals come from other professionals. Why not offer to collaborate on a service that provides unlimited potential to many professions. By working in collaboration with advisors, attorneys and CPA's you can bring advantages that will grow business exponentially. In the absence of value, price is everything. Attempts to commoditize the services of advisors, attorneys, insurance professionals and CPA’s is real. Utilizing Yourefolio in your practice not only keeps you relevant but makes you an industry leader in integrating modern technology in your practice. and promos we have underway.